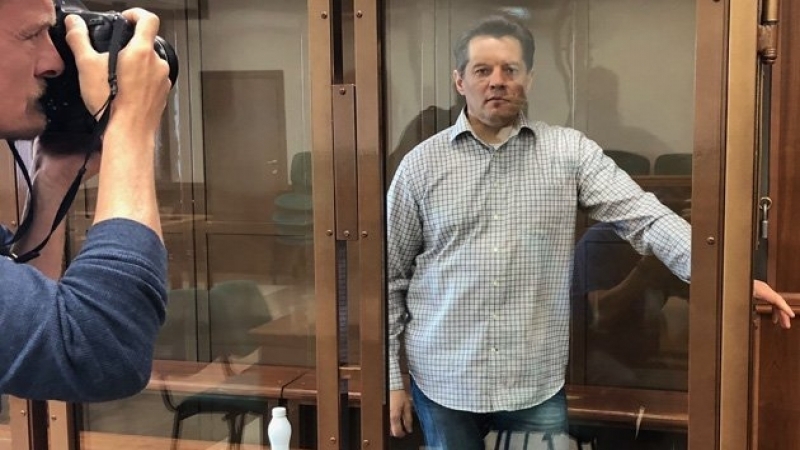 Today, September 12, the Supreme Court of the Russian Federation recognized the verdict of the Moscow City Court for 12 years of imprisonment for a Ukrainian journalist, Roman Sushchenko as legal. The corresponding decision was announced by the judge of the Supreme Court of the Russian Federation. Thus, Sushchenko's defense appeal was rejected in full. The political prisoner said that he did not agree with the decision of the court and will continue the struggle for his release, including, filing a complaint with the European Court of Human Rights. According to his lawyer Mark Feygin, the court session began at 11:00 am Kyiv time. In turn, journalist Roman Tsymbaliuk published a photo of Sushchenko from the courtroom. Soon after that, Feygin emphasized that Sushchenko did not admit his guilt and disagreed with the decision but he is ready to ask for pardon. The defense of the Ukrainian political prisoner will further appeal the decision of the Russian court. Earlier today, September 12, the Ukrainian Embassy in France has called for increased pressure on Russia to release Roman Sushchenko and all those Ukrainian political prisoners who are illegally detained in the Russian Federation. Earlier, Mark Feygin in comments to QHA said that Moscow would not agree to the collective exchange of Ukrainian political prisoners on the list. The lawyer stressed that Moscow is delaying the reaction to the incoming proposals for exchange.